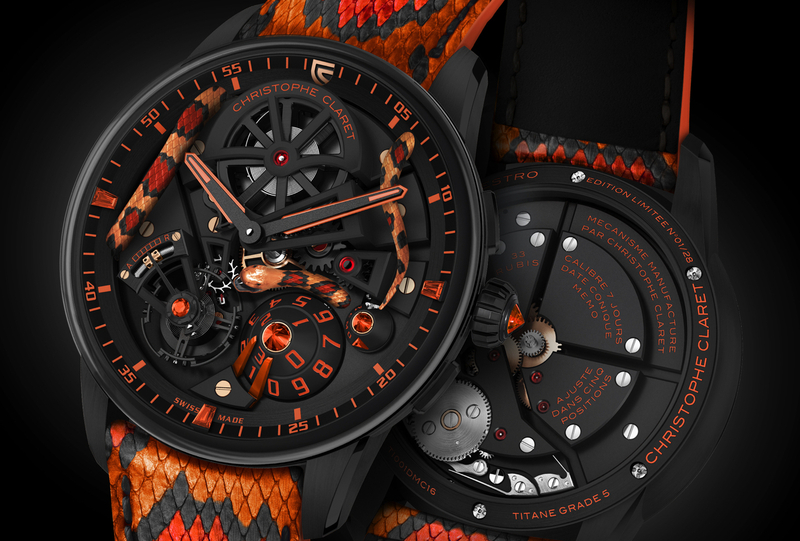 After introducing the Dual Tow in 2009, under his own brand name, haute horology watch manufacture Christophe Claret has created another complicated limited edition timepiece, the Adagio. 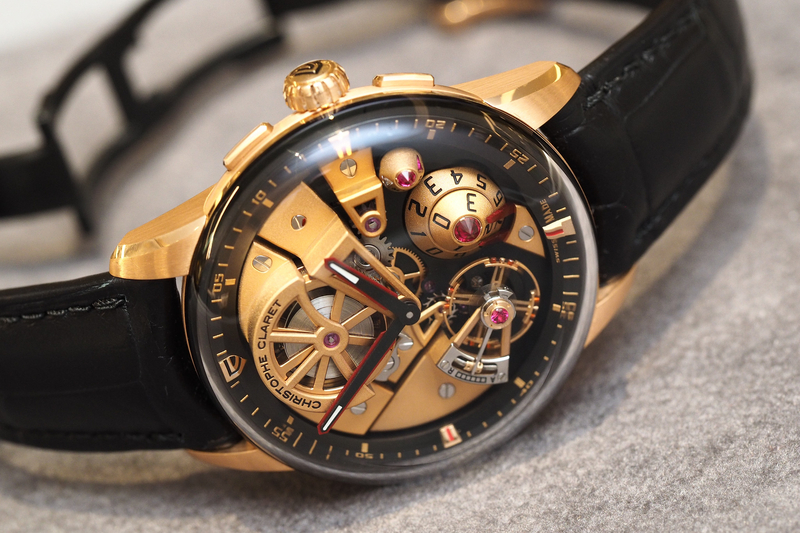 Christophe Claret runs an independent watch manufacture that develops and manufactures ultra high-end timepieces for clients such as DeWitt, Harry Winston and many others, but ever since 2009, he has also utilized a portion of his production capacity, to create ultra limitedHauteion haute horology timepieces bearing the Christophe Claret designation. 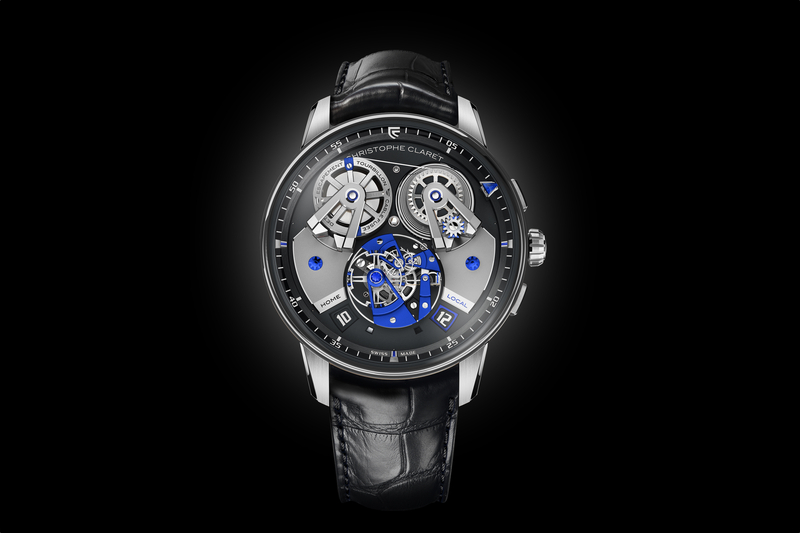 The Adagio features a number of complications, including a minute repeater, dual time zone with hours and minutes (with a day/night indication). It also features a large date at 6 o’clock. 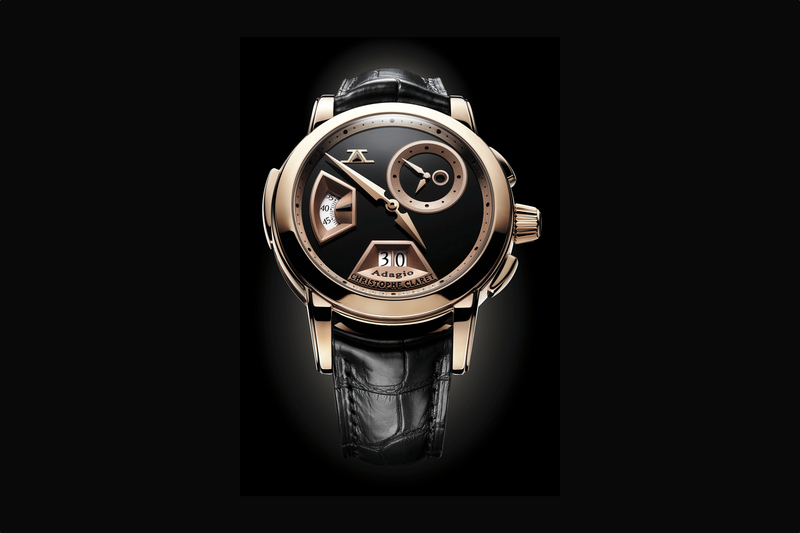 The minute repeater strikes the hours, quarters and minutes on demand. The cathedral gongs of the striking mechanism are fitted with a patented device preventing them from knocking against each other when they vibrate. The Adagio is available in three versions: rose gold, white gold or platinum. The case is 44 mm in diameter, which is much more modest in size than the large rectangular case of the Dual Tow. Pushers at 2 and 4 o’clock adjust the large date and dual time zone displays. A slide-piece at 9 o’clock controls the minute repeater’s striking mechanism. The dial comes in three different variations: guilloché gold, gemstones or rhodium anthracite gold base with stamped dial for 3D effect. All timepieces come with an alligator leather strap. Water resistance is 30 meters. Eight pieces are available per dial and case.